At first glance, this appears to be a larger version of this loaf I have posted, but it’s more like a butter sponge cake with a crunchy sugar glaze (and it can also be made into loaves!). Borrowed from Food52, having a kitchen scale is helpful, and this is another lunchbox hit, which means that it freezes beautifully in slices – enjoy! 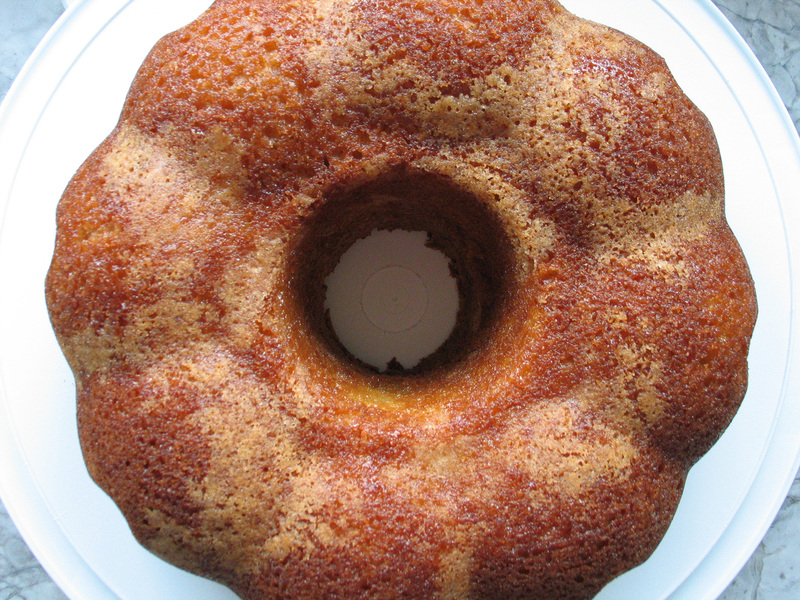 Generously butter your bundt pan, then drop in a handful of sugar in it and tap the sugar around so that every bit of the pan has sugar (and butter) on it. Preheat the oven to 350. Whisk together the flour, baking soda and salt in a medium bowl and set aside, then using your electric mixer, cream together the butter and sugar for a few minutes until fluffy. Add the eggs, one at a time, mixing well after each addition and scraping down the sides of the bowl as needed. Add the sour cream and vanilla and stir to combine, then with the mixer on low, slowly add in the dry ingredients and stir until everything is just mixed, and the batter is smooth. Scrape the batter into your prepared pan and bake for about 50 minutes until a thin, serrated knife inserted in the center comes out clean (you won’t be able to tell if it’s done with a toothpick). 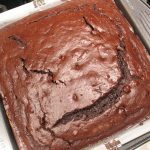 Allow the cake to cool in the pan until you can touch it with your bare hands, then turn it out onto a platter to cool completely.